Alex Zanardi will make a one-off appearance in the DTM later this year with BMW in his home round at Misano. The two-time CART champion and Paralympic cycling gold medalist will compete in an additional BMW M4 DTM at the August 25-26 event. BMW is currently working with the 51-year-old Italian on adapting its DTM car to suit Zanardi’s needs as a double amputee. “I am incredibly excited about racing the BMW M4 DTM at Misano because I always dreamt of adding the DTM experience into my ‘book of best moments’ in my motorsport career,” said Zanardi, who drove the manufacturer’s ‘race taxi’ at Hockenheim in 2015, and was given a full test of its M3 DTM machine following his Paralympic Games success in 2012. 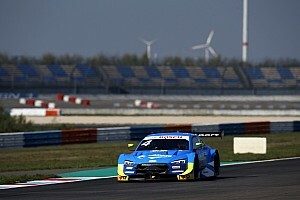 “DTM has for many years been one of the motorsport disciplines that are the pinnacles of racing regarding technology, the speed of the car and the level of the competition, which these days is higher than ever. 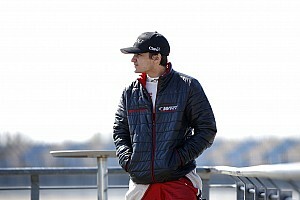 “The skills of the drivers competing in DTM and the preparation of the teams are, in my view, as good as in Formula 1. They are top of the game and you can’t get any better than that. “That is what concerns me and will make me to approach this challenge with a lot of respect, knowing that it will be one of toughest things I have ever done in my racing career. Zanardi’s addition to the DTM grid comes with the blessing of BMW’s rivals Mercedes and Audi, and he will become the second guest driver of the season following Mattias Ekstrom’s final appearance in the series at the Hockenheim opener with Audi. 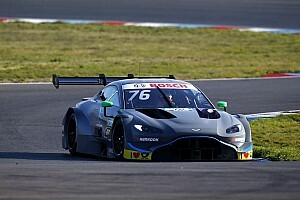 BMW motorsport boss Jens Marquardt added: “Alex Zanardi as a guest starter in Misano – that will be a real sensation in an already spectacular DTM season. “Our thanks go to the ITR and our colleagues from Audi and Mercedes-Benz for giving the green-light for this guest start. Zanardi will join BMW for this weekend’s Hungaroring DTM round to get a closer look at the series, before completing a testing programme in the weeks ahead of his series debut. Zanardi thought BMW DTM offer was a "joke"